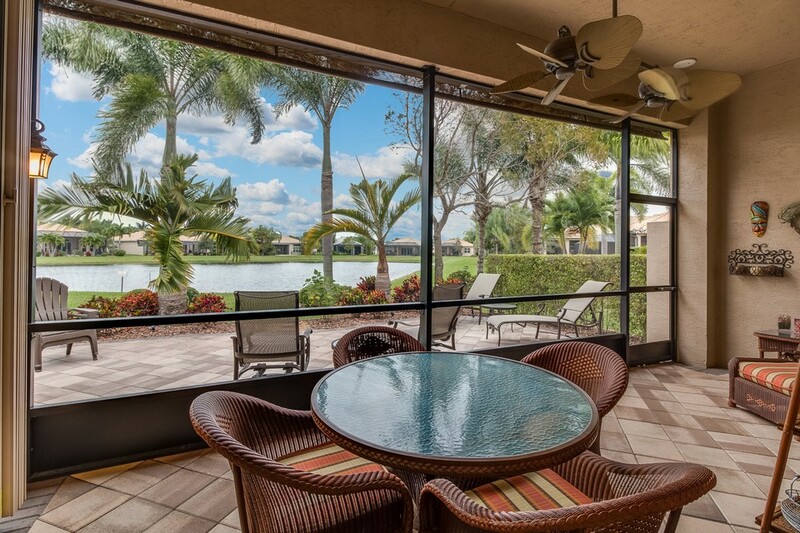 INCREDIBLE HOME ON A TREMENDOUS PIE LAKEFRONT LOT IN VALENCIA RESERVE. 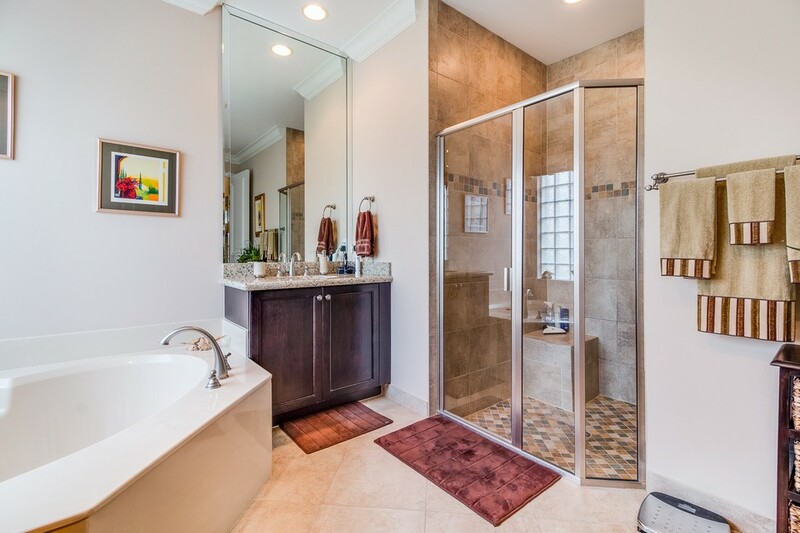 WITH OVER $150,000 IN UPGRADES, THIS HOME IS FOR THE MOST DISCRIMINATING BUYERS. 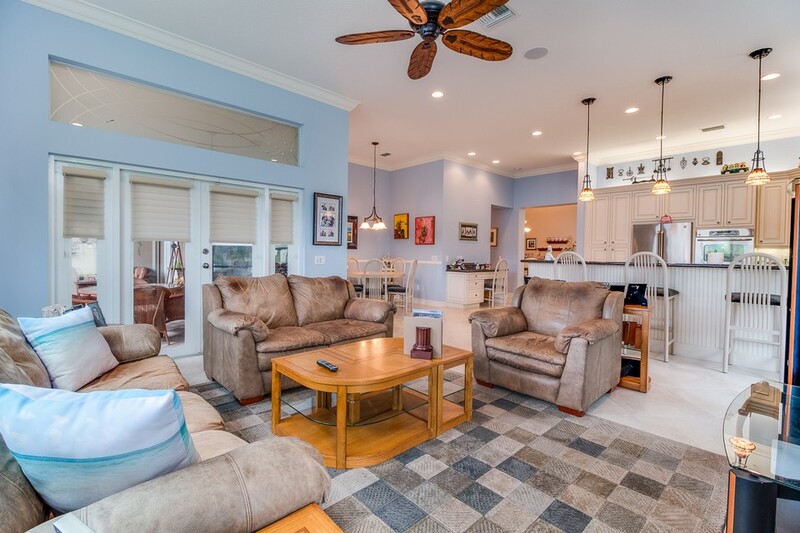 PULLING UP YOU WILL NOTICE THIS HOME SITS ON AN OVERSIZED LOT WITH UNMATCHED PRIVACY. THE ENTIRE HOME HAS ACCORDION SHUTTERS. 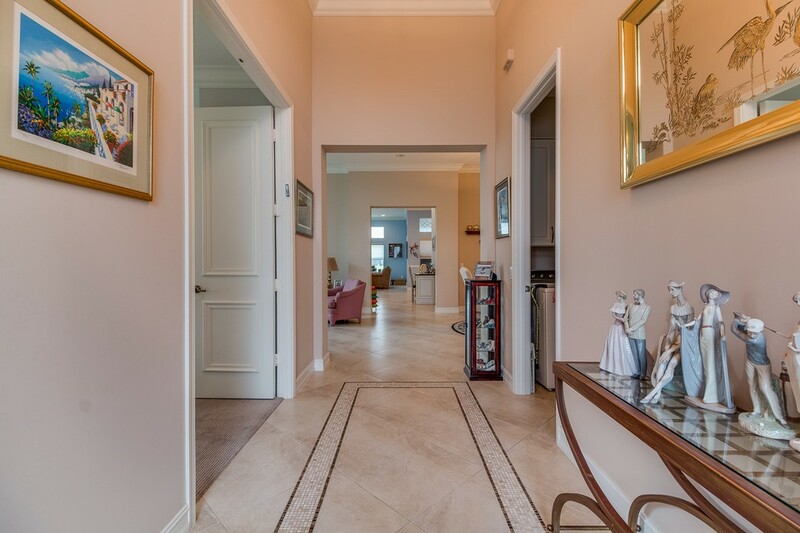 THE GLASS DOUBLE DOOR ENTRY LEADS YOU INTO THE FOYER WHERE YOU HAVE 24'' PORCELAIN TILE ON THE DIAGONAL THROUGHOUT. 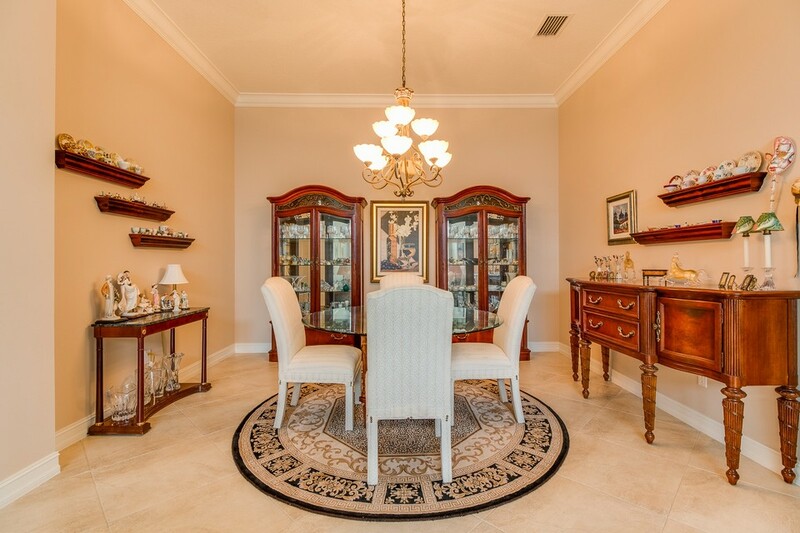 THERE ARE SOLID CORE WOOD DOORS & CLOSETS THROUGHOUT ALONG WITH CROWN MOLDING EVERYWHERE AS WELL. THE STUPENDOUS KITCHEN SHOWS LIKE A MODEL. 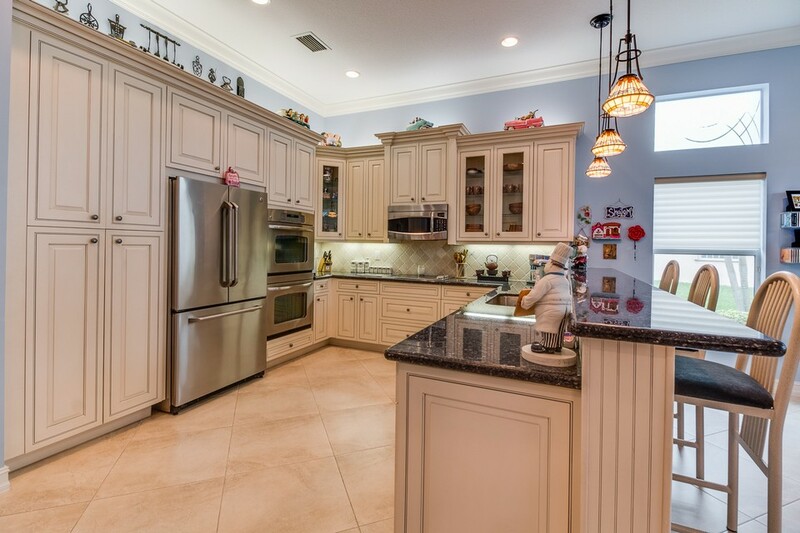 THE 42'' RAISED PANEL ANTIQUE WHITE WOOD CABINETS INCLUDE CROWN MOLDING & UNDERCABINET LIGHTING, DOUBLE GLASS CABINETS DOORS & PULL-OUT DRAWERS. 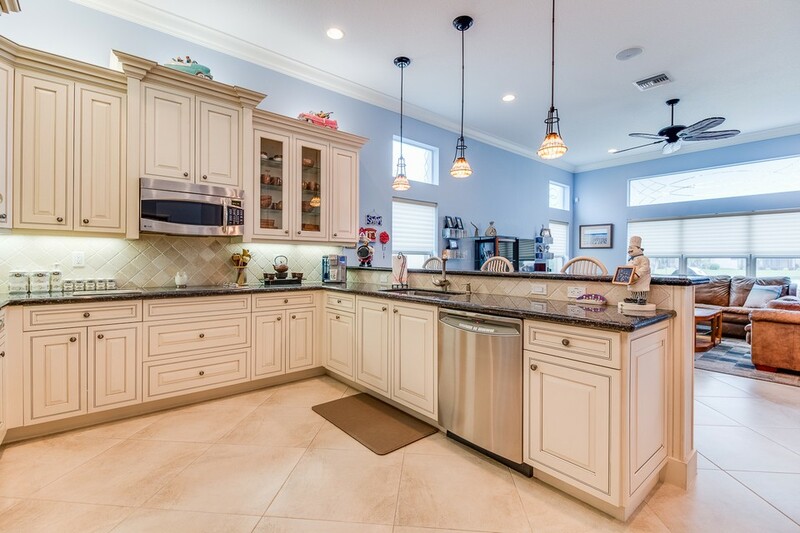 THERE ARE ALSO S.S. GE PROFILE APPLIANCES & GRANITE COUNTERS WITH TUMBLESTONE BACKSPLASH TO COMPLETE YOUR DREAM KITCHEN. 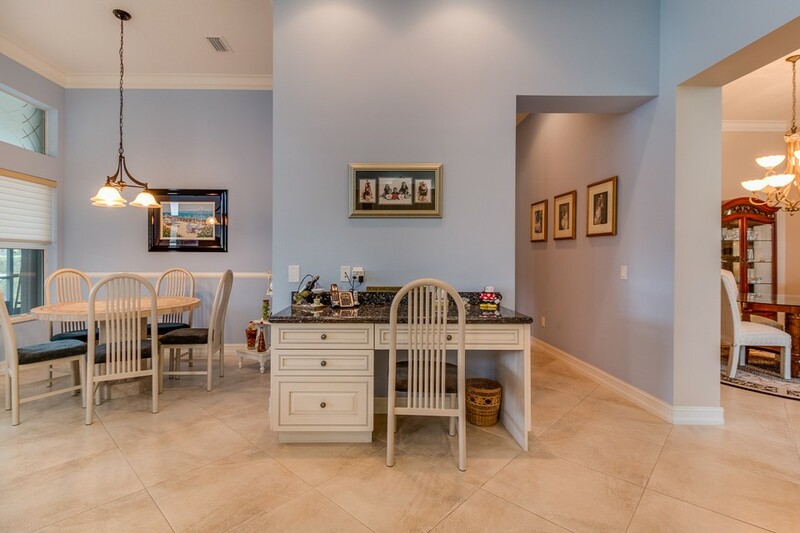 IN ADDITION, THE KITCHEN HAS A CUSTOM MATCHING BUILT-IN DESK THAT NO OTHER HOME HAS. 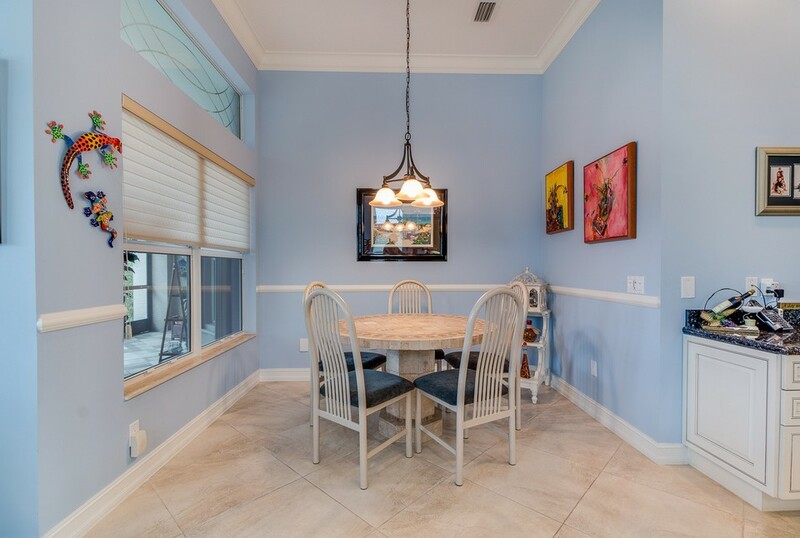 THERE IS A LARGE BREAKFAST AREA ALONG WITH A HUGE FAMILY ROOM PREWIRED FOR SURROUND SOUND. THE UPGRADED FRENCH DOORS LEAD OUT TO THE LARGE SCREENED PATIO WITH UPGRADED PAVERS WITH AN ELECTRIC AWNING FOR SHADE. 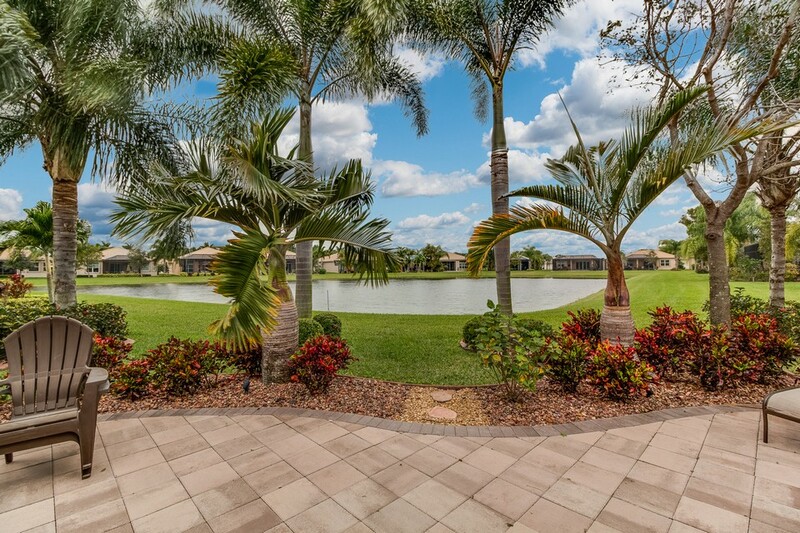 THERE IS ALSO GORGEOUS TROPICAL LANDSCAPING AND EXTENDED PAVERS OUT BACK OVERLOOKING THE SERENE LAKE VIEWS. THIS HOME CELEBRATES OUTDOOR LIVING AT IT'S BEST. BACK INSIDE THE HUGE MASTER SUITE ALSO HAS A FRENCH DOOR TO THE PATIO & TRAY CEILING WITH CROWN MOLDING & RECESSED LIGHTING. 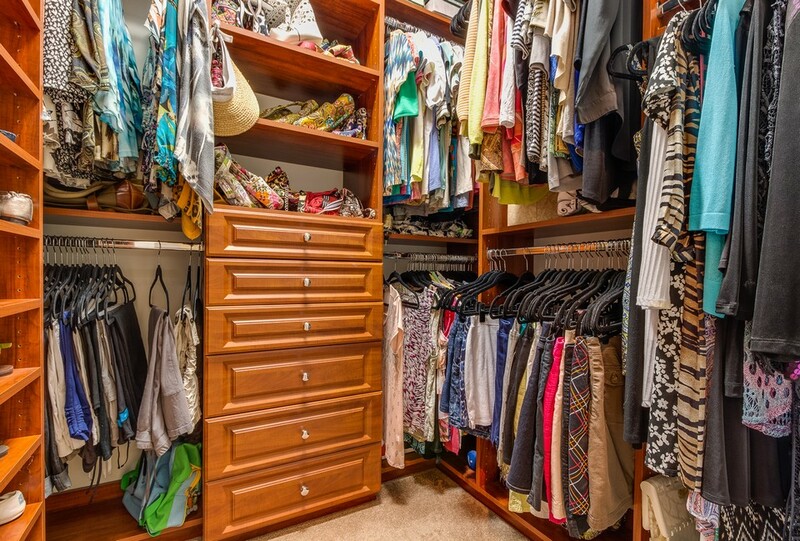 BOTH WALK-IN CLOSETS ARE COMPLETELY OUTFITTED WITH CUSTOM ORGANIZERS. 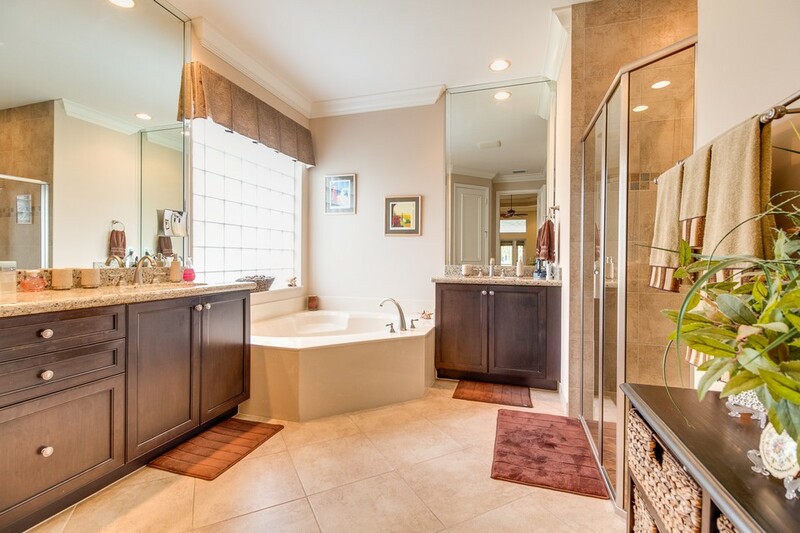 THE INCREDIBLY LUXURIOUS MASTER BATH HAS ESPRESSO WOOD CABINETS WITH PULLOUTS, GRANITE COUNTERS, MIRRORS TO THE CEILING & UPGRADED TILE ON THE FLOORS & SHOWER WALLS. 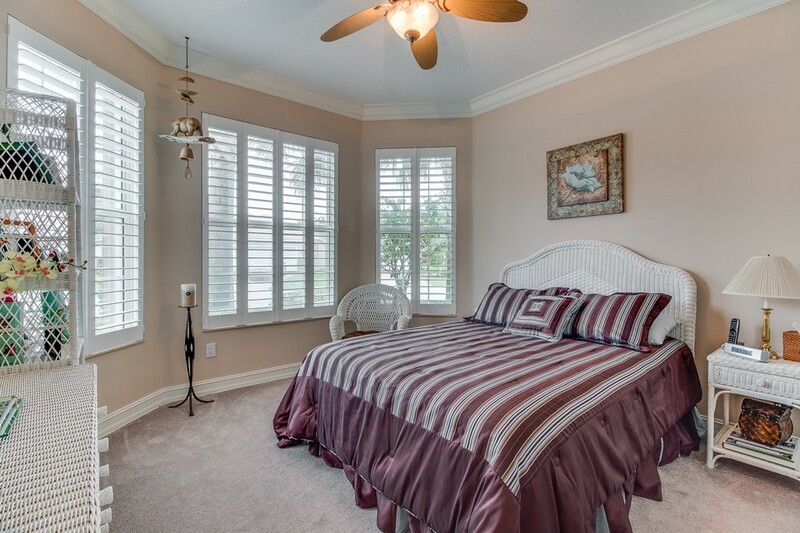 THE LARGE GUEST ROOM FACING THE FRONT OF THE HOME HAS BAY WINDOWS WITH PLANTATION SHUTTERS & CLOSET ORGANIZERS. 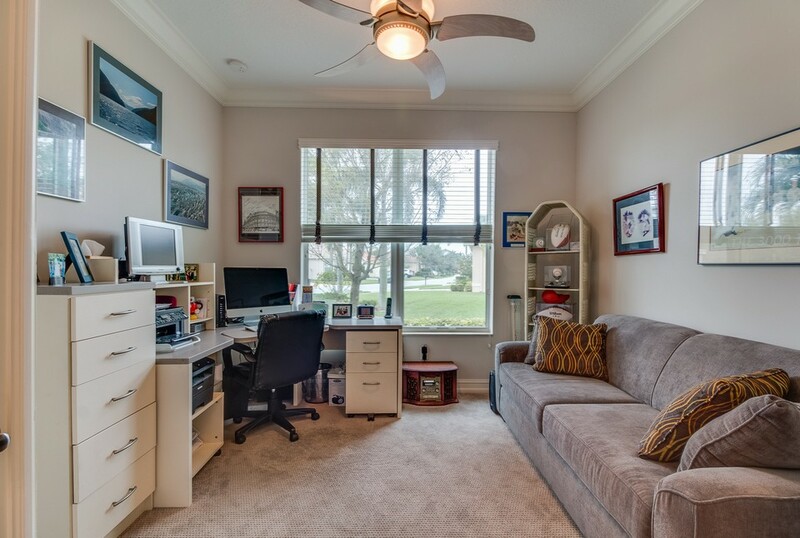 THE DEN/3RD BEDROOM HAS BEEN CUSTOMIZED WITH CLOSETS MAKING IT A TRUE 3RD BEDROOM . 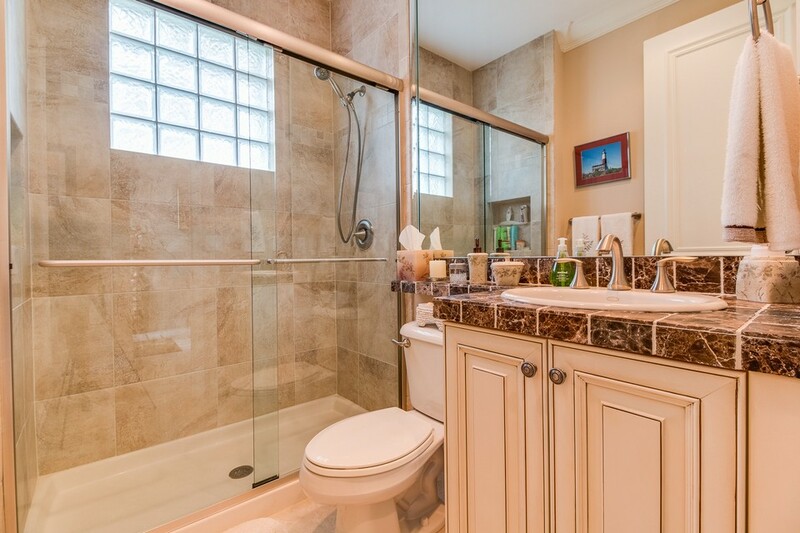 THE FULL GUEST BATH HAS ANTIQUE WOOD CABINETS WITH PULLOUTS & THE HALF BATH HAS A PEDESTAL SINK. 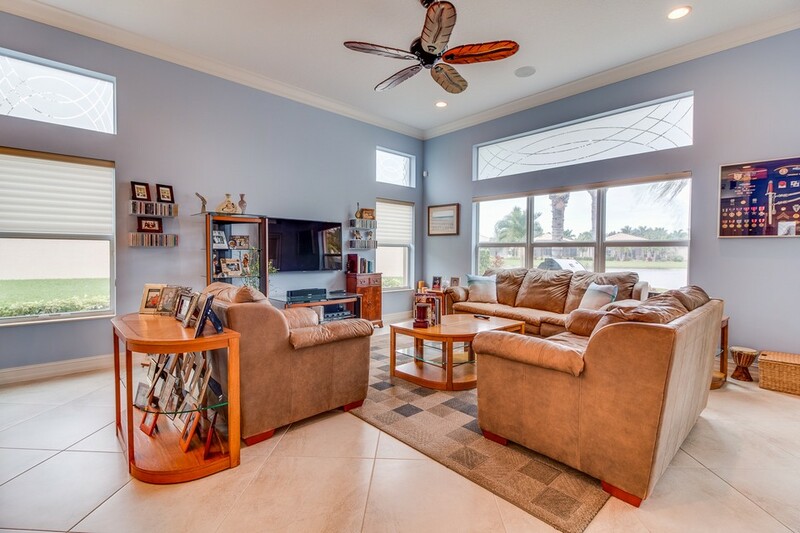 OTHER INCREDIBLE UPGRADES THIS HOME HAS INCLUDES: A CENTRAL VAC SYSTEM, A 2' GARAGE EXTENSION, A PHANTOM SCREEN FOR THE FRONT DOOR, TRAVERTINE WINDOW SILLS & HUNTER DOUGLAS WINDOW TREATMENTS. 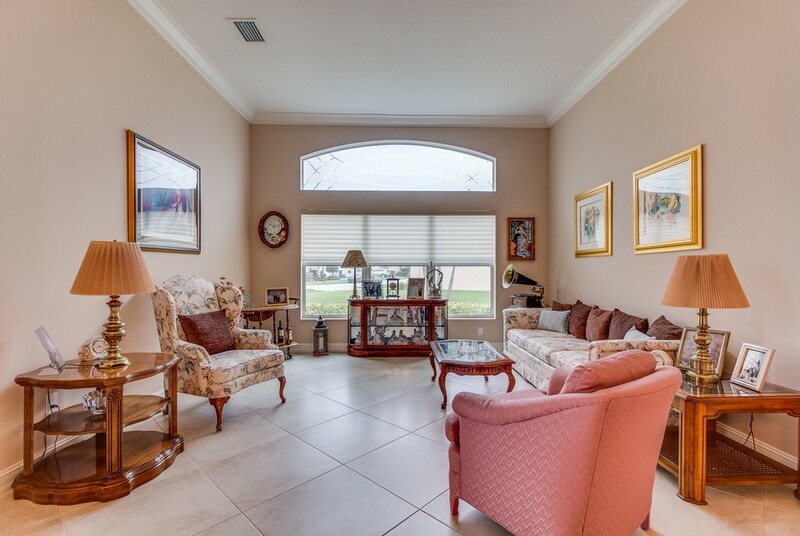 THIS HOME CAN BE SOLD INCLUDING MANY OF THE FURNISHINGS. 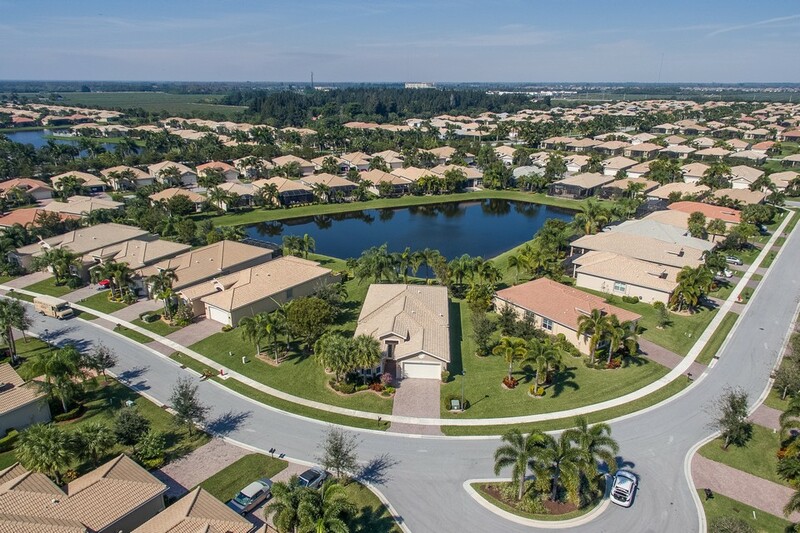 VALENCIA RESERVE IS PALM BEACH COUNTY'S MOST DESIRABLE ACTIVE ADULT COMMUNITIES WITH A RESORT STYLE CLUBHOUSE WITH EVERY AMENITY & CLUB YOU CAN IMAGINE. 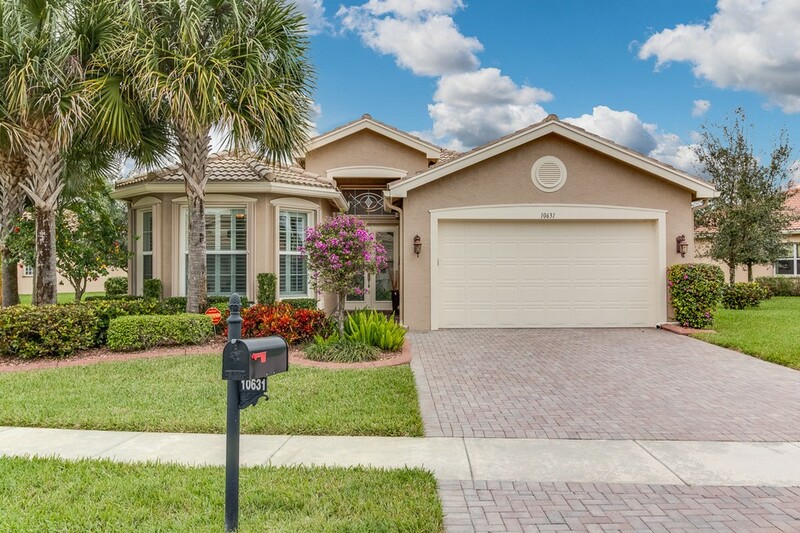 DO NOT MISS THIS ONE OF A KIND HOME!